Real estate in The Woodlands, TX is moving along at warp speed. After a tiny slow spell over the past few years, things have picked up with a vengeance. I have decided to do a market report on the different area codes of The Woodlands in order really break down the information to be more area-specific. It is clear that the market is moving and moving nicely. 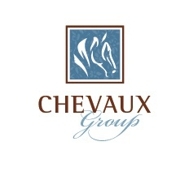 Chevaux Group is ready to assist you with all of your real estate needs. Listing, buying, commercial, investment, rental and more. Give us a call today! 1, 000 BLOG POSTS ~ 1, 000 REASONS TO BLOG! SPECIAL MEMORIES ~ HIGH SCHOOL PROM! IRONMAN TEXAS ~ THE WOODLANDS, TX ~ RACE DAY! IT'S PROM TIME IN THE WOODLANDS ~ BE SAFE!